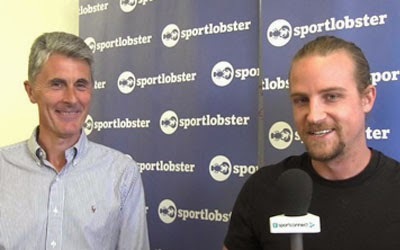 Sports Media Gaming has brokered the world’s first major sponsorship in the online binary options trading industry. SerieA champions Juventus FC and 24Option today announced a partnership that will initially run for two years until the end of the 2015/16 season. 24Option will become the exclusive global Online Trading Partner of Juventus. To kick off the partnership, 24 Option has created a trading competition with the prizes being first class packages to watch Juventus play in Singapore as part of their summer tour of Asia. “We’re proud of the partnership agreement which binds us to Juventus. We are both leaders in our respective fields on a global scale,” added 24Option. Sunderland AFC have extended their partnership with SMG introduced Asian betting and gaming partner TLC188 for a further three years. The Black Cats’ partnership with one of Asia’s biggest online betting companies will continue until 2017, following a successful two years since the original partnership was agreed in 2012, offering supporters a range of online activities such as football betting and online games. 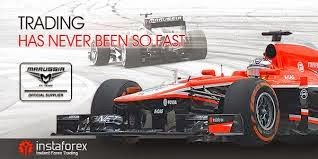 Stephen Pearson commented "This is an excellent renewal taking it to a minimum of 5 years demonstrating what a successful relationship it is"
SMG client Instaforex are are maximising their partnership with the Marussia F1 team this weekend with an enhanced package of rights that includes rear wing branding on the car. 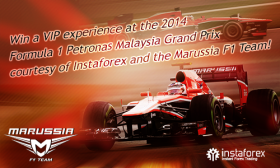 A promotion run by Instaforex sees the chance for clients to attend the Grand Prix in what is one of the company's key markets. 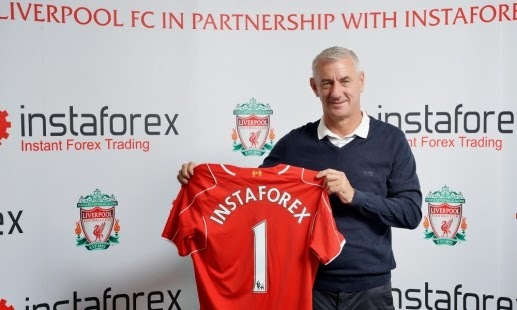 The Marussia F1 Team is pleased to announce the continuation and development of its relationship with Russian Forex broker, InstaForex, which has traded up to Official Partner status for the 2014 season. For InstaForex, which joined the Team’s portfolio of Partners in 2013, the relationship with the Marussia F1 Team is now a key element of the company’s marketing strategy, placing particular emphasis on key markets such as Russia and Malaysia and their associated Grand Prix events. For 2014, the Instaforex brand mark will appear on the drivers’ racesuits, Team apparel and within the Team’s trackside environment and peripherals. There will be an enhanced presence for the Malaysia Grand Prix in March, and also the inaugural Russian Grand Prix, which takes place in Sochi in October.